I’ve been told that TheIronYou is lacking holiday spirit, just like my apartment. Thing is, I'm not big on Christmas decorations — and that doesn't mean I don't like Christmas or that I’m against participating in the excitement of the holidays. A couple of years ago I went with my cousin to Target and bought string lights, a pine wreath, two 50-piece ornament sets and assorted decorations. But they'd been sitting in the attic collecting dust ever since; still sealed in their boxes. One day I’ll put them to good use, for now however decorating is still something foreign to me. I’m all for bringing some Christmas spirit to TheIronYou though. Let’s begin this Christmas craze with a recipe for what I believe is the very essence of holiday season: gingerbread. Gingerbread doesn’t simply say “Christmas time”, it literally screams it. 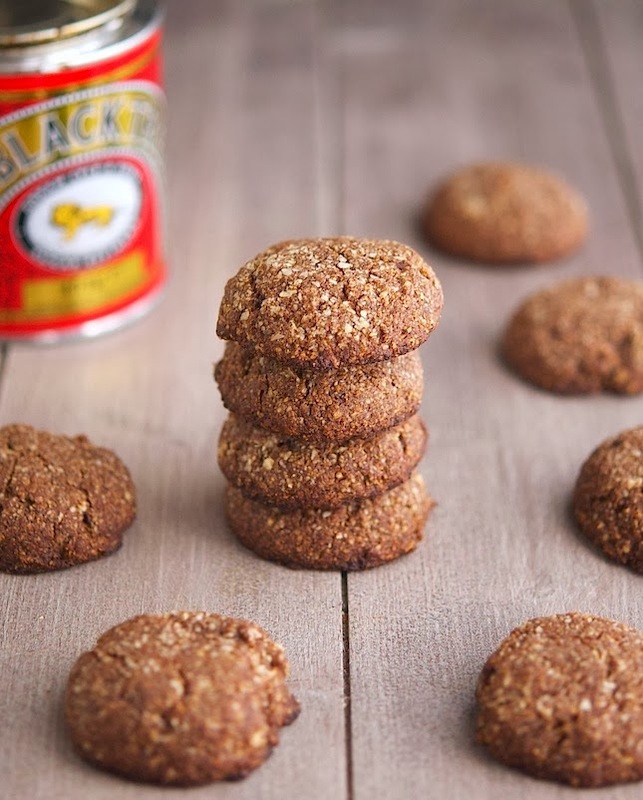 There's just something about the warm spicy aroma of gingerbread cookies that conjure up the holidays. Don’t you agree? 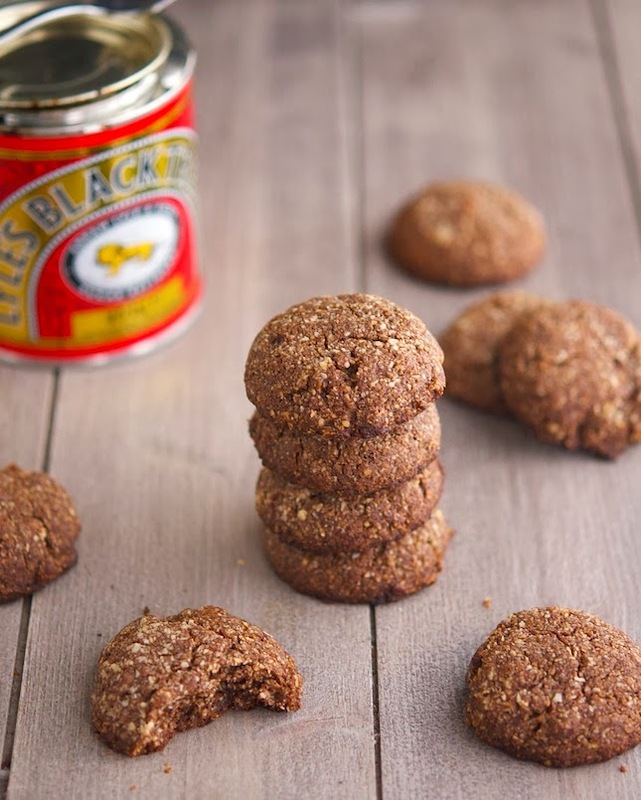 These gingerbread cookies are made with a good amount of almond flour, classic holiday spices, extra virgin coconut oil and are sweetened with blackstrap molasses. They come together in 2 minutes and bake in 10. That fast. I’m going to be honest tough. These are badass cookies. Badass because they are grown up, smartassed and ginger+cloves are like the most badassed spices EVER. 10-year old Niece loves ‘em but she’s real badass, even at such young age. 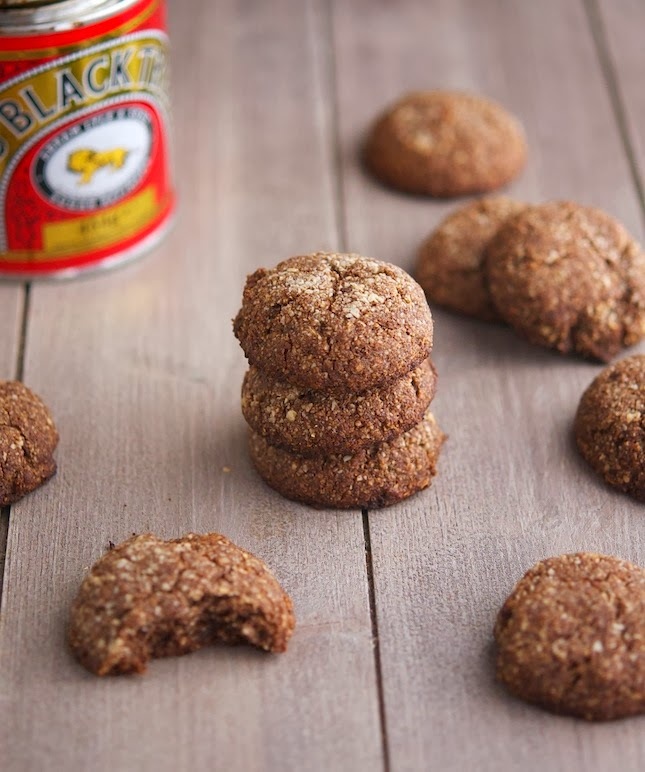 (Paleo) Gingerbread Cookies Print this recipe! Add wet ingredients to dry ingredients and mix well until a dough forms. You might to add a couple of tablespoons of almond flour if the dough is too wet or some water is it’s too dry. One cookie yields 114 calories, 10 grams of fat, 5 grams of carbs and 2 grams of protein. If your niece loved these, then my daughter would too - so long a she doesn't know what is or what is not in them! What? No Christmas decorations? I say your apartment is in serious need of a feminine touch! Chicks usually dig that kind of stuff. At least, I know I do. My life simply wouldn't be complete without Christmas decorations. Just like I think my life isn't complete for never having had proper gingerbread. I know, so wrong, right? I might need to fix this soon. Perhaps these cookies would fit the bill just fine. They sure look like they would to me. Badass, you say? I'm all for that! Yesterday America's Test Kitchen radio program featured a story about the perfect gingerbread cookie. Spice and snap (crunch). These looks really delicious! I'm the same way with Christmas decorations. Less is more. I'm going to for the podcast, sounds super interesting, thanks for the tip! You are so right- gingerbread cookies and Christmas just go hand in hand. So true Daniela, there's no Christmas without gingerbread! It is definitely a duded thing. I can't imagine my husband decorating his house before he met me. Save your energy and money for when you get a couple of kids LOL. These cookies look and sound amazing. I need to buy those organic molasses. I'm pretty sure I could be good friends with your husband and yes you should totally get organic molasses they're the best! Looks amazing, another great recipe Mike! I made a double batch and I loved them! Will be making more today! That's cool, I'm so happy you liked them that much! 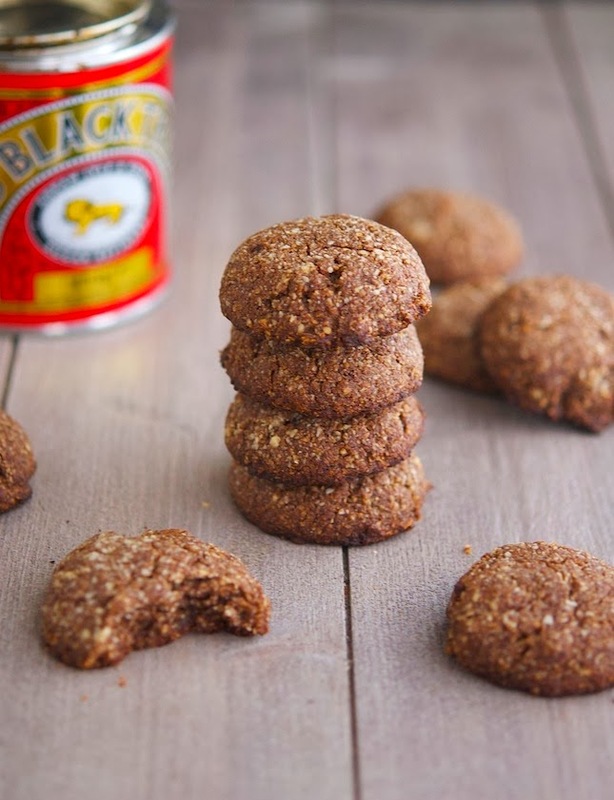 This is the first gingerbread cookie recipe that I have found that isn't overloaded with a cup or two of sugar, honey and/or molasses. Thank you! I will definitely try this recipe ... And for the record...not necessarily a dude thing ....no xmas decorations, no lights and no tree. Its quite liberating. And let me know if you like the cookies! anyone try the recipe with honey instead of molasses? Any tips? A lot of the "gingerbread flavor" comes from the molasses. As well as the color. It's like making blueberry oatmeal muffins without the blueberry - it greatly alters the end result. Thanks for a great recipe that doesn't take forever to finish! I'm so glad you like 'em that much Ivy. It's definitely my fave gingerbread cookie recipe, I've just baked a batch on Sunday and already planning on baking another one tomorrow! Is the dough strong enough to roll out and use cookie cutters? It is very soft, I wouldn't roll it--just press it flat onto some parchment paper and then use the cookie cutters. If you are very careful and don't handle it much I think it might work but the edges may crack a bit. I just made them as drop/shape cookies and got those nice cracked edges like my grandmother's recipe used to make. But I would say it is worth a try. I may try it too! These are awesome. Perfect amount of sweetness (I have to cut half the sugar out of most recipes, even Paleo ones), perfect texture--chewy on the inside with that perfect almost-crunch right when you bite through. Just like my grandmother used to make, only with healthy oils and a tenth the sugar! Two thumbs up!! Great recipe! 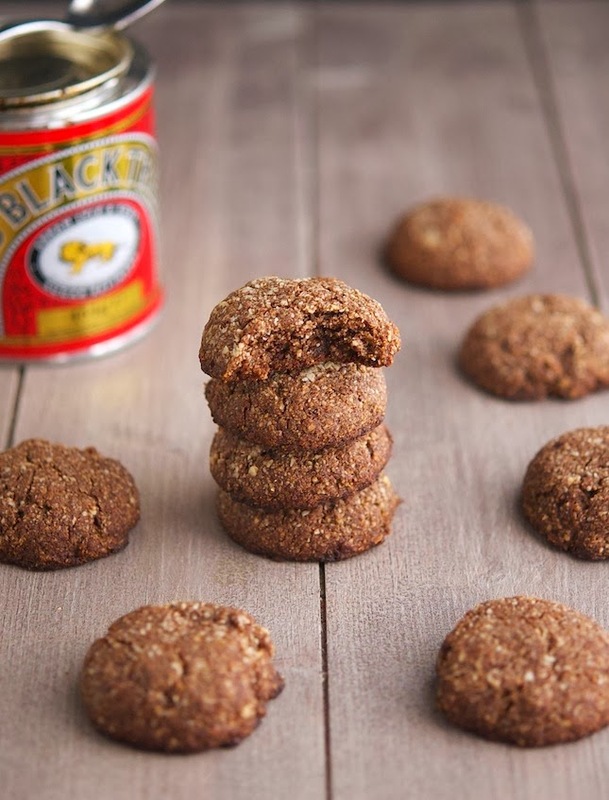 I made mine with maple syrup instead of molasses and they are delicious! That's a great idea, I need to try it myself!